Henry is 4 weeks old -- hurray! We are muddling through the sleepless nights and I keep telling myself that "this too shall pass." I have been talking with my mommy friends about how the novelty and adrenalin rush that was experienced with the newborn phase with the first child does not really occur with the second. Don't get me wrong, I am blissfully happy to just stare at his cute little face and cuddle him for hours on end, but when it comes to the routine of getting up every 2-3 hours throughout the night, I could just as well hire a baby nurse. This time around I am more exhausted and have another child to care for (who is VERY BUSY), so the sleepless routine seems to be hitting me harder. On a positive note, I have had a ton of helping hands and I am so thankful for the support -- oh, and my husband has been a champ taking on tons of Cameron time and household duties. 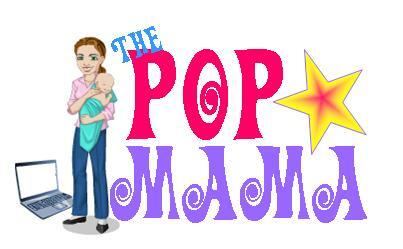 I have been trying to keep up with pop culture and it hasn't been that hard to do with the time I have to spend feeding Henry and watching E! and Bravo. First, I am very intrigued by the new Bravo show It's a Brad Brad World. I never got into The Rachel Zoe Project (I find her very annoying), so I was not familiar with him before watching his new show. Basically Brad Goreski is the former style director for Rachel Zoe's company and now he has gone off on his own to be a stylist and fashion editor. The show follows his new business and life with longtime boyfriend Gary. I love watching the Brad and Gary interact and I find Brad much more palatable to watch than I do Rachel Zoe...it could be because he is a very funny gay man and not a snotty haughty woman. It has me wishing for some local gay friends of my own...all of mine live far far away in much more fashionable places than the Midwest! All my time on maternity leave hasn't been on my couch and I actually was able to get out with my husband to see a matinee on New Year's Eve (thank you to my mother for babysitting!). We saw We Bought a Zoo. I loved it. It could be the hormones but I literally cried throughout this movie and I haven't done that in a VERY long time. Part of the reason that it touched me so much is because a large part of the story is about the loss of a wife and mother. Matt Damon (who is hotter to me now that he has a ton of kids of his own) does a great job playing Benjamin Mee, a widow and father who relocates his family and purchases a somewhat neglected animal park. I don't love his haircut in the movie --it is too shaggy, but he is still such a cutie. Because it is based on a true story, I went and found the book on ibooks and read the sample after I saw the film. The actual Benjamin Mee is British and the Dartmoor Zoological Park is located in southwest England. The movie is fabulous and I recommend it for a date night with a husband/wife/partner/significant other...bring your tissues. 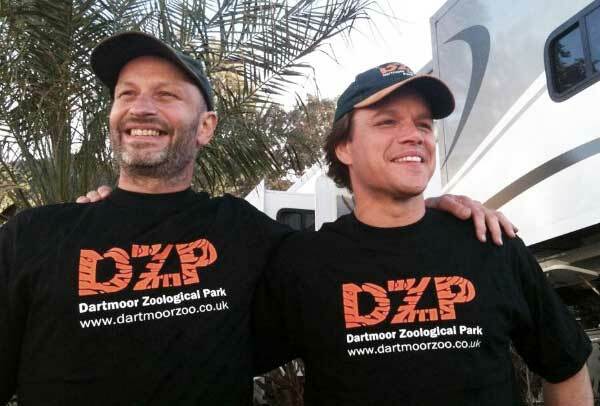 The picture above is of the real Benjamin Mee and Matt Damon at the Dartmoor Zoological Park. In other news I will be setting my DVR to record the back to back episodes of Kourtney and Kim Take New York this Sunday because it was promo'd as "when the end begins." It is such a cheap marketing ploy -- Hey, come watch this so-called "marriage" disintegrate! Of course, I bought right into it. Later skaters.